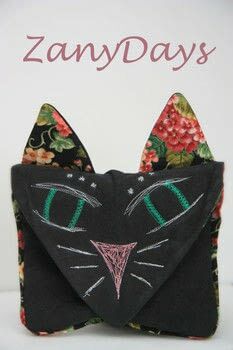 I really wanted a cat purse, but the tutorial I found online was boring (http://scathingly-brilliant.blogspot.com/2011/11/diy-cat-clutch.html) and the links weren't working anyway. So I drafted me own pattern pieces and sewed them through trial and error. I added a 1/4 inch of accent fabric that matched the interior, and instead of buttons for the nose and eyed, I thread-sketched them instead. NOTE: Thread sketching is SO. FUN. You think it's going to look like junk before you do it and while you're doing it, but then you snip your thread and remove it from the machine and it's awesome! So I apologize for not having images for every single step of the way! I have tried to explain as well as I can without them. 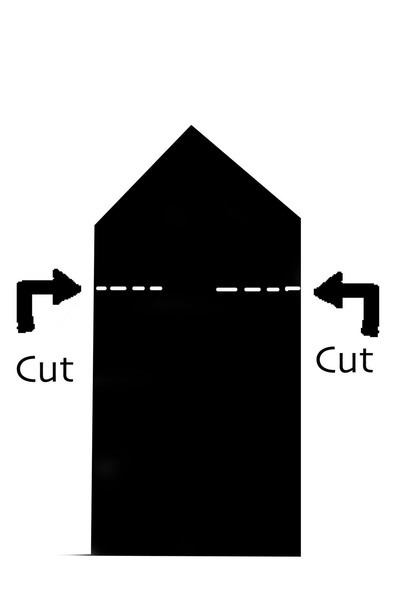 Cut your pattern pieces. I've drawn them roughly here, because I didn't actually draw the pattern on paper, like I should have. I drew it onto the fabric because I was lazy. I'm sorry. Anyway, the length and overall size of your purse is up to you. 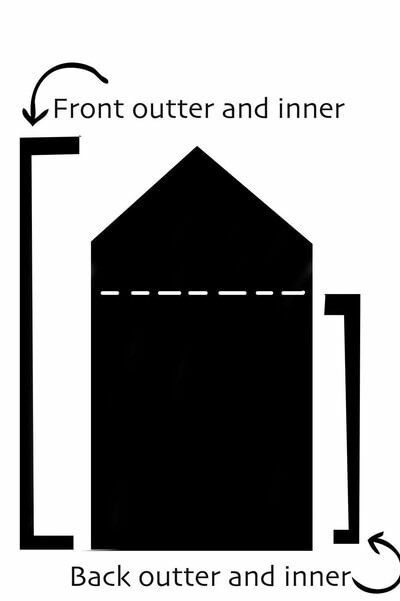 So long as you make sure that your lines are of equal length and angle you could make this into a backpack or full sized tote. Which I may plan to do in the near future. And of course, the pieces I did not include were the ears. But those are just triangles, again, whatever size you prefer to make this bugger into. Cut all your pieces. Your main fabric (I used a pair of my mom's old suede work pants), your lining (used some of mom's fabric scraps as well), your batting (optional) and your accent strip. For the accent strip, measure down one side of the shorter piece, across the bottom and up the other side. Add a few inches and this is the length for your accent strip. Lay down your batting (if using), then your lining right side up, and then your outer right side down. Sew around each set of pieces, leaving the bottom seam open. You should have the front and the two ears as separate pieces. Trim the edges, snip the corners, and turn each piece right side out. On your outer piece of back piece fabric, slice thusly. This gives the cute wrinkly effect that a cat with it's ears *really* perked up gets in the middle of it's adorable head - right between his ears. I thought it was too cute not to try, and it worked perfectly! 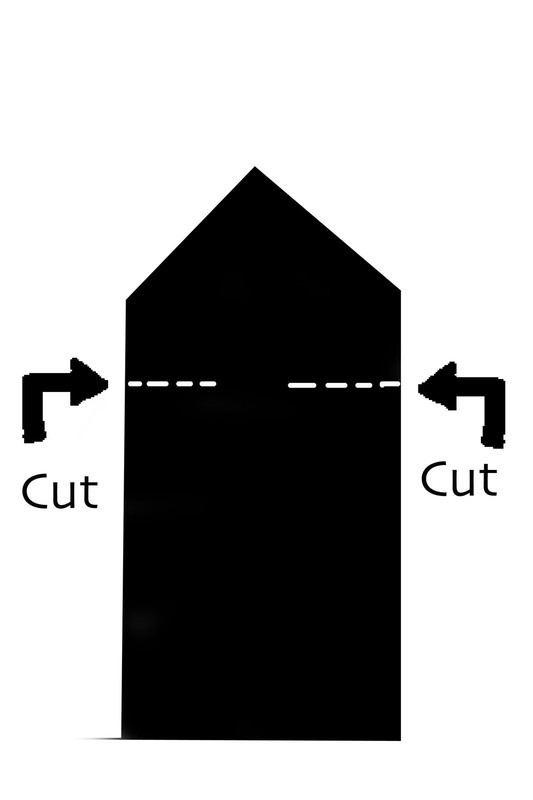 Once these cuts have been made in your outer fabric,lay the ears down along the cut line accent side up, a little below the edge on the outer fabric cut so the raw edges overlap some. You don't want to miss the bottom of the ear at all when you sew. Essentially, both sides of the ears are the "right side", so when I say put the ears and the main back piece right sides together, I literally mean that. 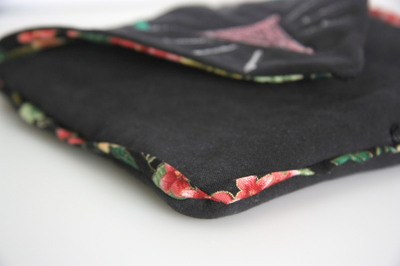 There is no twisting, simply set the ear with the accent fabric facing up into the slit. 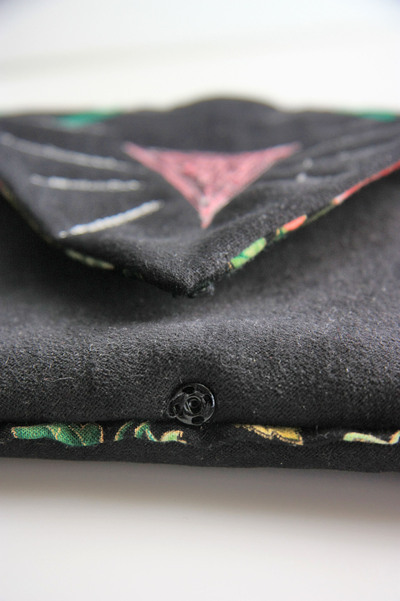 Then fold back the triangle part of the main back piece backward over the accented part of the ear and pin in place. 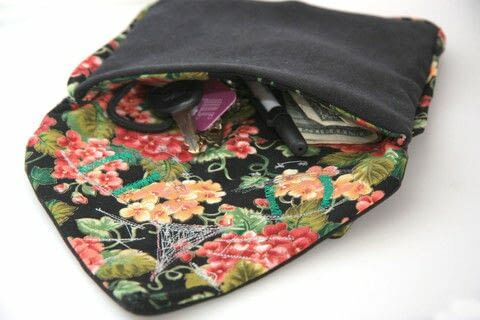 Sew with a 1/4 inch seam allowance until you reach the middle of the head (where it's going to wrinkle and where you didn't cut), and taper off the seam. It'll be sort of like sewing a dart in the middle of his head. Do the same for the other ear. Turn right side up and press flat. 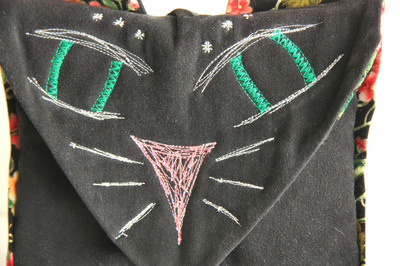 Pin the ear accent side up to the fabric so they don't get in the way of the next step. Place the batting and then the back main+ear piece and the back lining right sides together and sew around, leaving the bottom seam open to turn right side out. Now all of your pieces are ready to sew together! If adding the accent strip like I did, press the strip in half and pin around the right side of the front (square) piece, folded edge to the inside of the front piece. I cut mine at the corners because I wanted < that effect. Sew the strip in place with a basting stitch. Then place the front and back pieces right sides together and sew. Trim the edges, cut your corners and gently poke the corners out as you turn it out. Now, had I been cleverer, I'd have sketched the face on before I added the lining. But I didn't. So the face shows on the inside of the face flap. Ho well. I drew on the face with chalk and sketched along the lines until I was happy. 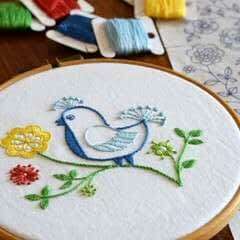 This is a great opportunity to use some cool stitches on your machine, if your machine has cool stitches. 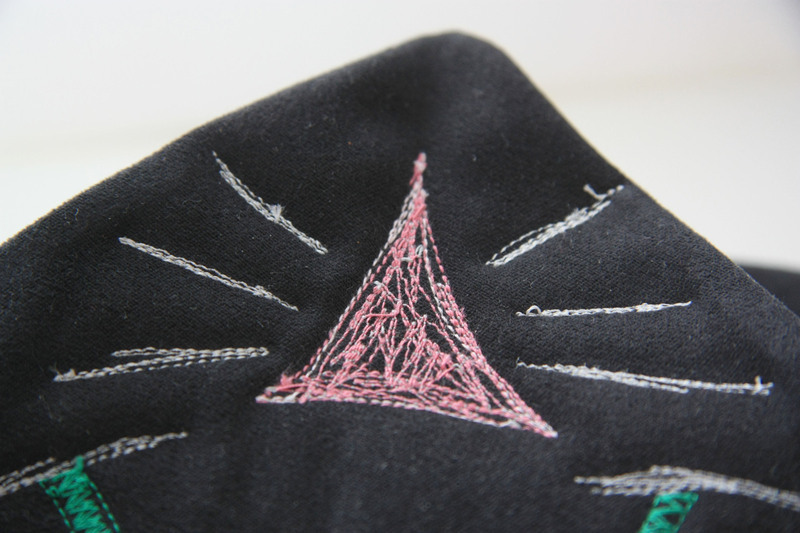 Regular stitches look just as cool. 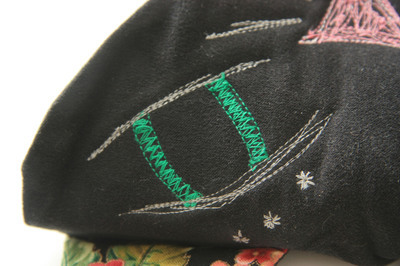 The backstitch button is your friend here.